More than 13 years after its final episode aired, the series phenomenon known as “X-Files,” is returning to television in a six-episode revival. CEOs of Fox, Gary Newman and Dana Walden (both whom were a part of all nine original seasons of the show) confirmed in late May that the show would make a comeback, according to Variety.com. Fox Television Group has also confirmed that David Duchovny and Gillian Anderson will be back to reprise their roles, alongside original producer Chris Carter, who is the brainchild behind the age-defining series. The show centers around two FBI “most unwanted” agents, Fox Mulder (Duchovny) and Dana Scully (Anderson), who investigate unnatural and supernatural cases from the basement of the FBI headquarters. “I am excited for the six-episode revival! It has been a long time and is perhaps a bit overdue,” said student Renee Griep. Since “X-Files“ first aired in 1993, many students were not old enough to watch, let alone understand, the show. However, thanks to sites like Netflix and Hulu, the show has been able to reach a whole new generation. “I heard of the show before and when I found it online I couldn’t stop watching it,” said student Moses Bernabe. 11. Pilot (Season 1, Episode 1): Simply because, if the first episode doesn’t catch your attention, then why continue watching, right? The first episode showcases beautifully how the relationship between the show’s two main characters will grow, not to mention sci-fi in all it’s glory. 2. Clyde Bruckman’s Final Response (Season 3, Episode 4): In my opinion, this is the best stand-alone episode. No government conspiracies or aliens in sight, but rather an episode about a clairvoyant (played by Peter Boyle who won an Emmy Award for this performance) who can predict the way a person will die. This is definitely the episode you will find yourself most emotionally invested in. 3. Bad Blood (Season 5, Episode 12): Possibly the funniest episode in the series, it centers around a small town with a supposed vampire problem. The episode explains the story first from Scully’s point of view, then from Mulder’s. This episode does a great job of explaining the frustration Mulder and Scully sometimes feel towards each other. 4. X-Cops (Season 7, Episode 12): A skillfully made cross-over by producer Vince Gilligan (creator of Breaking Bad), X-Cops brought together X-Files and Cops, two of Fox’s most successful shows. Filmed like an episode of Cops with hand held cameras, Mulder and Scully partner with local police officers to find the “monster of the week.” This is undoubtedly the most creative episode in the series. 5. The Truth (Season 9, Episodes 19 and 20): The finale of the series was a two-part spectacle that was the perfect ending to the show. 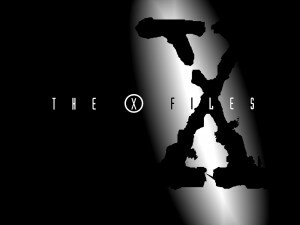 The episodes brought back Mulder who is found to be on trial for murder and must race to prove his innocence. It does a great job of tying together many of the lingering loose ends, while also leaving room for more questions, which are hopefully to be answered in the upcoming revival. The true believer can catch the new season on Fox in January 2016.